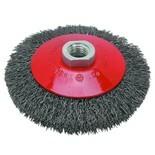 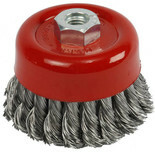 100mm M14 Twist Knot Power Bevel Brush; For Use With Angle Grinders Up To 12,500rpm. 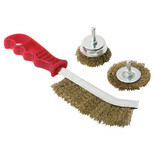 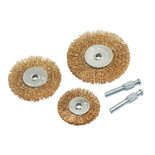 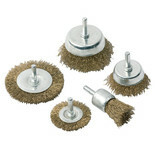 This set comprises three hardened brass steel wire brushes for use with electric rotary drills. 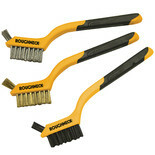 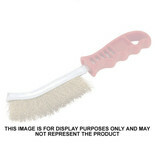 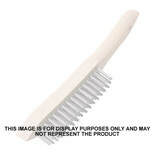 These top quality brushes are ideal for rapidly removing paint, varnish, rust etc. 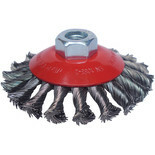 National Abrasives 90mm M14 Twisted Knot Cup Brush - Composed of high tensile steel wire with twisted knots. 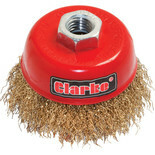 Ideal for use with angle grinders in the removal of material from a variety of surfaces. 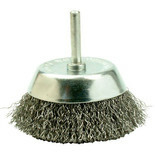 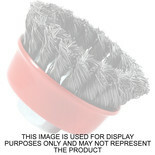 National Abrasives 75mm M14 Twisted Knot Cup Brush - Composed of high tensile steel wire with twisted knots. 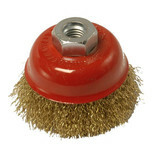 Ideal for use with angle grinders in the removal of material from a variety of surfaces.